2018 Update: We still think this is a great roundup of the best financial books for beginners, but you may also want to check out our recent discussion on whether to invest in stocks or index funds. 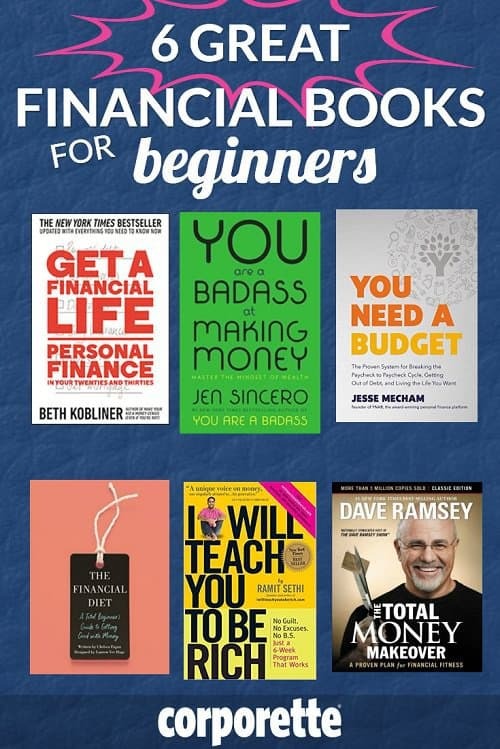 It’s been YEARS since we’ve talked about the best personal finance books for newbies, so we figured today we’d discuss the best financial books for beginners. 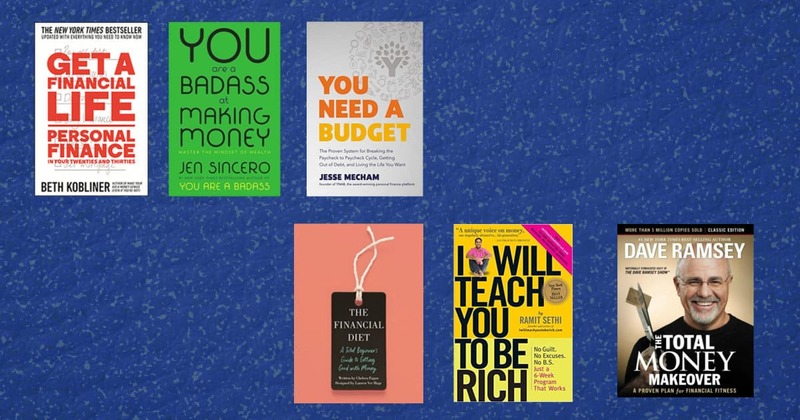 Paying off debt, saving for retirement, and managing your money in general can seem overly complicated and intimidating no matter what your age — but especially when you’re a young professional — and these books use simple rules and straightforward concepts to educate people who are new to personal finance. 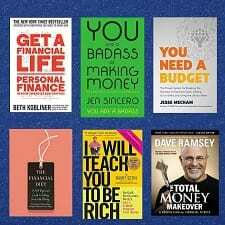 What is your favorite personal finance book (or blog, or magazine, or podcast)? What was the best advice you took from it? Psst: In the past, we’ve shared our money roadmap, offered financial tips for women lawyers, pondered how to make a budget, discussed the pros and cons of cash savings vs. retirement savings accounts as well as paying down debt vs. saving, and much more. We also included several recommendations for finance podcasts in our podcasts for working women post. 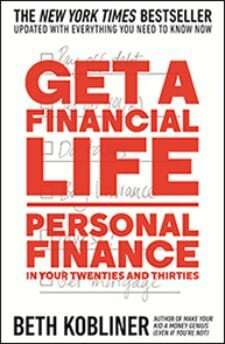 Get a Financial Life was first published in 2000 — the same year the dot-com bubble burst — and was aimed at Gen Xers, while this fourth edition (“completely revised and updated”) came out early last year and was written for millennials. The book shares advice on the basics and the more complicated aspects of personal finance, including filing your taxes, buying insurance, making a budget, investing, buying a home, saving for retirement, paying student loans, and much more. It’s been called “a life’s worth of smart financial advice” and currently has a 4.5/5.0 rating on Amazon. 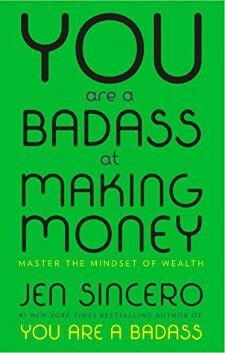 A followup to Sincero’s You Are a Badass: How to Stop Doubting Your Greatness and Start Living an Awesome Life (which has 3,000+ reviews on Amazon), You Are a Badass at Making Money shares tips on achieving financial success in a financial newbie-friendly way that’s been called “accessible,” “hilarious,” and “cheerful.” Sincero includes personal essays about her journey from being broke to becoming a successful business owner, as well as real stories from others who improved their finances by starting to look at money in a new way. The book has a 4.6/5.0 rating on Amazon. First published in 2010, Corporette reader favorite You Need a Budget (YNAB) also has companion budgeting software (including an app) that you can try free for 34 days — it’s $6.99/month thereafter. (Mecham actually created his company and the YNAB software before writing this book.) 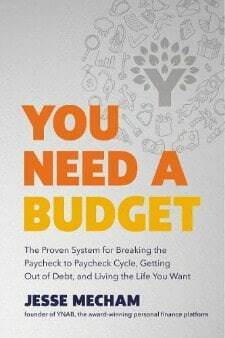 The book’s strategy for people trying to make a budget and take control of their money includes four rules: (1) Give Every Dollar A Job, (2) Embrace Your True Expenses, (3) Roll With The Punches, and (4) Age Your Money. A couple of Corporette comment threads about the software are here and here. The book has a 4.7/5.0 on Amazon. 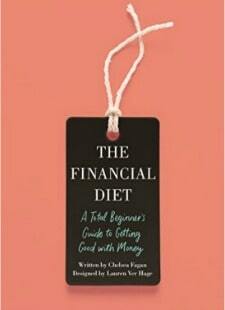 The Financial Diet, a brand-new book, grew out of Chelsea Fagan’s popular website and YouTube channel (note: autoplay video). It aims to help readers handle their money better, make a budget and stick to it, learn how to invest, negotiate a raise, and more — and it offers lifestyle tips that include “how to take care of your house like a grown-up.” Reviews of the book have praised it for its “practical, no-nonsense financial advice” and “concise, clear advice on fundamentals.” As for reader reviews, The Financial Diet has a 4.7/5.0 on Amazon. Written to help 20- to 35-year-olds master their money situation, I Will Teach You to Be Rich (another Corporette reader favorite) structures its six-week program using the four pillars of personal finance: banking, saving, budgeting, and investing, as well as building wealth through entrepreneurship. The six weeks are (1) Credit Cards, (2) Bank Accounts, (3) Investing Accounts, (4) Conscious Spending, (5) Automatic Money Flows, and (6) Investing Choices. (Note that the style has been called “part frat boy and part Silicon Valley geek, with a little bit of San Francisco hipster” — some Corporette readers have said that they liked the book but weren’t crazy about the tone — and also note the book was published in 2009.) 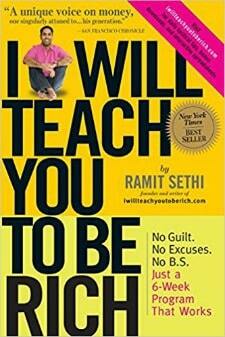 I Will Teach You to Be Rich has a 4.5/5.0 on Amazon. 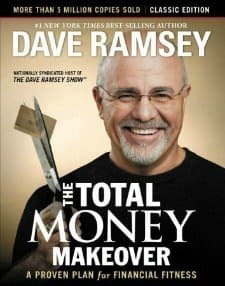 Dave Ramsey has created a personal finance empire, including books, a radio show, live events, webinars, and more. His book The Total Money Makeover (which has sold more than 5 million copies) explains how to get out of debt and reach your financial goals by following his seven simple steps. They include paying off debt quickly, building an emergency fund, and investing 15% in retirement accounts. Be aware that Ramsey is definitely not a fan of taking out loans and consistently encourages readers/listeners to buy with cash. A couple of Corporette reader threads about Ramsey’s advice are here and here. The book has a 4.7/5.0 on Amazon. What do you think are the best financial books for beginners? Was there a particular book that has made a big difference in the way you handle your money? Do you read any personal finance blogs from the authors above, or from others? The Simple Path to Wealth by JL Collins was incredibly informative for me. Personal finance is an interest of mine, and I found the book to be a good summary of what was included in the author’s many blog posts. My dad gave me this book, but he said if he had time, he could write a better book for dummies like me. I told him my job is to make money, not figure out how to invest it. I would use my husband for that task. He said fine, go find a husband so I can retire in North Carolina, but he forgot that he is buying me a place on the West Side, with 3 bedrooms, 3 baths and a wrap around balcony and he is goeing to take up residence there while he teaches at Colombia U. Mom will also be there when he was there b/c she does NOT want to spend nights alone in Manahasset by herself! Can you imageine? It is so safe there, but she says w/o Dad, she is comeing into NYC to sleep here! It’s just as well b/c I will have trouble ratteling around a 2300 square feet apartement all by myself. FOOEY! I second this recommendation. Great no-nonsense approach to finances. Third this. He’s great for investment advice as well once you’ve mastered the basic money mgt issues. Much better than Ramsey who I see value for people just starting out but I think his investment advice is pretty terrible. I’d like some recommendations for intermediate-level personal finance books. My only debt is my mortgage, so now what should I do? So many books and sites are really focused on getting out of debt. I would love recommendations for this as well. How should I be investing my extra income? What other things should I think about? In terms of investing, one of the sneaky things of the financial industry are all of the hidden costs and expense ratios, which can eat away at your savings if you’re not careful. For a brief (and hilariously done) explanation of this, check out John Oliver’s Retirement Plans segment from Last Week Tonight. Almost all of my money is in low-fee index funds through Vanguard because they have the lowest expense ratios in the business. I would check out the book I mentioned above. It’s about investing and preparing yourself for retirement, including the types of investments to make and the vehicles by which to do it. The best, simple advice I have seen is the famous “all the financial advice you need to know can fit on an index card” from the economics professor at University of Chicago. He wrote it down in seconds. It is all really good. 2. Buy inexpensive, well-diversified mutual funds such as Vanguard Target 20xx funds. 3. Never buy or sell an individual security. The person on the other side of the table knows more than you do about this stuff. 4. Save 20% of your money. 5. Pay your credit card balance in full every month. 7. Pay attention to fees. Avoid actively managed funds. 8. Make financial advisors commit to the fiduciary standard (hard to enforce, so fee only planner is safest). 9. Promote social insurance programs to help people when things go wrong. And I think they added on one to be well insured, but with a reasonably high deductible. Like the posters above, I was lucky enough to espace college without much debt and my parents were decent at teaching me to budget, but I am pretty clueless about investing (but am starting to learn) and would like some “intermediate-level” advice. On a similar note, how do I get rid of my financial planner? She was assigned to me by my bank as one of those “perks for professionals” when I was hired at my current job. I was clueless and thought she would be helpful. She has invested my money in high-fund, low-return ETFs. She is obsessed with keeping my risk profile very low because she thinks I want to buy a house, which I mentioned as a possible plan but am in no hurry to do. I mostly feel like she wants to sell me a mortgage and, other than helping me setup automatic savings on payday (which I was going to do anyway) she is pretty useless. I’ve found that I now have to go through her for pretty simple tasks like converting my credit card points, which I used to be able to do alone. I have stopped investing in her funds and opened my own Vanguard account and she gave me a huge lecture last time about how I was an idiot who could not possibly do it on her own and would end up in the streets (she didn’t say idiot, obviously, but that was the vibe). Can I fire a financial planner assigned to me by the bank? Call the bank and say you do not want their financial planning services and tell them you want her off your account. If they ask why tell them you have no desire to talk to a planner to redeem credit card points and you handle your own investing outside the bank. Threaten to move your accounts and her name will be deleted from your account in a nanosecond. Yes! You can and should fire her… The bank is paying her to try and make money for the bank. I’d transfer all of your investment money over to Vanguard and tell the financial planner you don’t want to work with her anymore. In the past few weeks, I’ve read through almost the entire “Tales from the Wallet” archive, and it has been awesome to read through everyone’s advice! I am 24 and working while applying to medical school. I built up my retirement to take advantage of compounding interest, but my question is regarding other savings. Any advice for other things I should be doing now, in anticipation of taking on $$$$$ loans for medical school? I’m already living as frugally as possible to maximize savings, but am not sure the best thing to do with them right now. Thanks! Oh, this is such a good question! And great work on building up your retirement now to take advantage of the years of compounding while you’re in school. I would consider saving up money for living expenses during med school in a high yield savings account (like at Ally or Barclays) or looking at some CDs if you won’t need it for a couple of years. Something else you might want to think about is the housing costs of where you are applying to school. The area where I live now (college town in a LCOL state) works out to be much cheaper to buy instead of rent . If you’re in a place to save up a decent down payment and the numbers work out, it might make sense for you to purchase a place to live in during the four years of med school. You could even consider a large apartment or house with multiple bedrooms that you could rent out to fellow students. This could help lower your cost of living and build up equity while you’re in school. When you graduate and if you need to move for residency, you could either sell the property or set it up as a rental to generate more income. Don’t buy during Medical school unless Mom and Dad are rich and buying for you. Way too risky when you will probably only be there 4 years. Then do you really want to be selling your condo while you are finishing your surgery rotation and applying for residencies? If you say yes, you are clueless and please….let me save your sanity. You want a landlord to call and fix your broken fridge or bad heat. Not to do it yourself when you are stressed and sleep deprived. Med school can be brutal and residency worse. Keep it simple. And never be an out of state landlord while in residency! Live with multiple roommates as cheaply as possible. Apply for every grant/scholarship you can find, every year, and don’t forget local hometown/state scholarships from where you grew up. Every $500 counts. Do research in a lab for $ and to improve your chances of getting a great residency. This is a stupid question, but how do you “max out your 401(k)”? My husband and I both get mid-year (July) raises so to put exactly $18k in our retirement we have to adjust our contributions mid-year. I spent a lot of time doing the math this year, but somehow messed it up by a pretty big margin – my husband ended up with only $15k in contributions and I was just slightly more than that. I want to put more money in retirement but I don’t want to over-contribute and have to pay penalties. How do other people do this? I’m pretty sure your company will handle (not deduct on payroll) once you hit 18k. I’ve only worried about calculating myself when I’ve switched companies mid-year. Could be wrong. It’s company by company, but most will do that. Unfortunately I asked my company and they said they will contribute exactly what we request and not stop at the IRS limit. Convince your company to let you contribute a specific dollar amount per paycheck rather than a percentage? It’s much simpler! Assuming you’re stuck with percentages, you’re just going to have to do the math, though the commenter above is correct that your company should automatically stop your contributions when you hit the limit, as long as you’ve worked there all year. You’re working with the wrong number. The contribution limit for those under 50 for 2018 is $18,500. I know. I’m talking about what happened in 2017 and $18k was the limit last year. Whoops. reading comp fail. Sorry! The way I would do it (and have done it)- only works if you know exactly when your new allocation will go into effect and you know your pay period calendar. Use an online percentage calculator to figure out what percentage Y is of your new gross salary. Make that percentage your new allocation. so weird that your company doesn’t do this for you! Yo genius – it’s 18500/gross salary, rounded up. That’s the % you contribute to get to 18.5. Do it now so you’re maxing out now to July. Then when you get a raise in July, don’t adjust down and you’ll get to the 18.5 faster for the year. For someone who doesn’t get simple percentages, I doubt messing up a match is that concerning. Rude. This is a legitimate question, especially if OP’s company doesn’t stop contributions at the max like many (including mine) does. +1 so unnecessary! OP please ignore this, you asked a legitimate question. I was the first anonymous answer and also learned from the replies. – after raise and bonus, i see how much $ i have left to contribute for the year and divide by # of payperiods remaining, and reduce x accordingly. – double check in nov and dec to make sure math is still right ! Just put in a set number per paycheck instead of a percentage each month. Then you don’t ever have to recalculate. For example, I have 26 paychecks, so to max out $18500, I put $720 from each paycheck. I front load it, so I’m contributing $2500+ per month at the beginning of the year. It helps rein me back in from going a little nuts over the holidays, and then when I’ve maxed out it’s the fall and I suddenly have extra money in my paycheck for several months, right in time to think about my year-end charitable giving. I enjoyed the Bogleheads’ Guide to Investing. It was written by three guys who met on the Vanguard forum. Jack Bogle is the founder of Vanguard, hence the name. Remember too, before any information can be helpful, an individual has to get honest. 1st, make a list of every expense and what you think you are spending per month, then gather 6 months of bills/statements and figure out what you are actually spending. This helps to see where overspending is happening or where more consideration must occur. Once you know these numbers, you can begin to learn how to budget and what to do with money you save! So this is slightly tangential, but I’m having a hard time finding an answer. My company is pressuring me to get a corporate credit card. I’m wondering how this may affect my credit score, particularly if I leave the company and have to close the card. My credit score is good – high 700s – but I only have two credit cards, and only one of which I actually use. I don’t have immediate plans to leave my company, but would love not to be here in a year. I’ve asked my company about the policy, but they haven’t shared any information other than the suggestion to call one of the credit bureaus, which, how would the credit bureaus know what my company policy is? All I know is that it is AMEX and we are responsible for paying the balance and submitting our expense report to reimburse. Any insight? Does your company want you to get an actual credit card? My corporate card is not technically a credit card in that the balance has to be paid every month. The name of it says “Anon Lastname Company Name” and it does not appear on my credit report. Yes, I believe it is an actual CC as the balance has to be paid every month and we are responsible for any late fees (i.e. late fees are not reimbursable). I believe we also have to submit an application under our name, which I would image would at minimum trigger a credit check. My card cannot carry a balance – it is an American Express “charge card”, not a “credit card”. They may have run a credit check when I got it but that was 11 years ago so I don’t recall. It definitely does not show up on my credit report though. I’m not sure if the distinction between charge card and credit card matters for credit history or the fact that the card is clearly in my company’s name. It’s the fact that the line of credit is issued to the company, not to you personally. My corporate credit cards (Amex, Chase, and Citi, from two different fortune 100 companies) were not actually tied to my personal credit score. They may run a check on your credit before you get your card (I want to say my checks were soft checks, not hard checks) but they haven’t effected my score. I would get the card, unless you’re actively in the process of getting a mortgage (like, in the next 2 months). Do you have to use their company credit card? My employer allow us to use our personal credit cards (though there is the option of getting a card through them) for business-related expenses. Since our reimbursement cycle is so short (typically 24 hours after expense approval), I prefer to run my expenses on my personal card and get the points that way. They’re trying to move us away from that, so the company can benefit from the points. I understand the reasoning, but also feel like if I am taking the risk to my credit, I should also reap the rewards. Hire a professional woman to manage your money. Um, no? Many of us are incredibly bright, interested in money, and can do this ourselves. Oh, and we don’t want to pay your fees. Lol. Thinking the same thing – of course I’m the one here who gets jumped all over for talking investments. My savings rate / earnings rate have increased dramatically since I’ve done this. I found it incredibly helpful to sit down with a third party and come up with a strategy. Highly recommend. Your comment is snarky, but the advice is actually something good to think about. At a certain level of income (coupled with lack of time and/or interest in investing), a professional money manager is a great idea. I spend money on cleaners and pet sitters and take out…why wouldn’t I pay for money management services? I would suggest this for people who’ve already mastered the basics (don’t spend all your money) and are uncomfortable with investing. Maaaaybe if you have a complicated future to fund (really early retirement, special needs trust to fund, etc.). Otherwise, you can do the basics yourself. I get an employee discount on the fees and i still don’t use them. I like author David Bach. He has a bunch of different books that all cover pretty much the same territory. Smart Women Finish Rich; Smart Couples Finish Rich; The Automatic Millionaire. It’s solid, basic advice (pay yourself first, etc) and packaged well. So I a little embarrassed to admit this, but I am one of those stereotypical women who allows her husband to handle most of our big financial lifting (investing, taxes, etc.). This is mainly because he works in finance, and I work in marketing. How can I bone up on my knowledge so I can participate in these decisions with him and take back some of the power? I don’t need to know how to set a budget and get out of debt. I also understand basic stuff such as insurance, FSAs, mortgages and car loans. What I need is the next level up on the ladder. What’s the best book for this? Some background: we’re comfortable financially, living in a MCOL city both with solid incomes, 2 school-aged kids. We recently switched our kids to public school, so have a lot more money every month (about $4000). I want to be able to have educated discussions about what we should do with that money. We own a nice house with a reasonable mortgage, own both cars with no debt on them, and have no student loans. I max out my 401k at work (he’s self-employed so no retirement benefits for him). I work for a university with a tuition benefit program and great job security, so when the kids go to college, my employer will cover 55% of the tuition. We obviously need to continue saving for the other 45% and room and board. We’re replenishing our savings to build up 6 months of expenses – I was out of work for 5 months so our savings took a hit. Complicating all of this is that my husband owns his own business, and I don’t understand the finances of all that (equity, self-employment taxes, etc.). Any guidance on a good starting point to build up my knowledge is appreciated! I highly recommend Smart Couples Finish Rich by David Bach. He does discuss the basics, but also goes into more detail about what to consider for different types of savings and investments. Nothing really about the details of owning a business, but a great book to read and discuss with your husband.